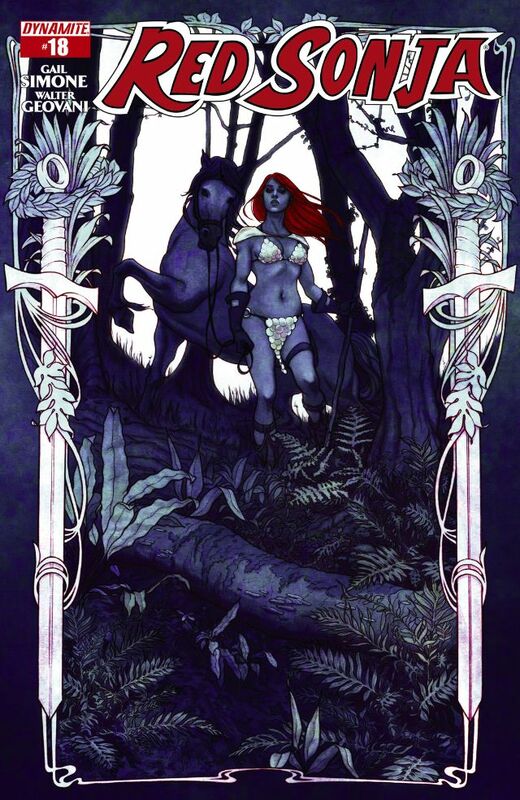 Gail Simone concludes her epic run on Red Sonja. Bringing the story full circle, this conclusion to the arc and Gail Simone’s run finishes everything off for the new writers on this title. There has been some hard and soft throughout this series, and this issue shows it off well. The soft as Sonja deals with the Nun’s at the library, and the hard as she deals with those attacking them. The soft returns as she learns her letters (!) and then some more hard. It’s all very good with some excellent writing and directing of action. The art is also brilliant, in showing both the soft and hard sides to the story!